I got a kind email from Thorsten Czub, who is very active in testing chess programs in general and, currently, chess programs for Android in particular. 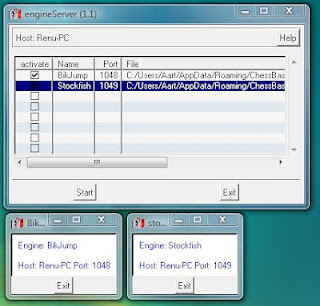 He conducted a few tests with Chess for Android running on a Rockchip Android Tablet (600MHz ARM) with Android 1.5 against some programs running on other platforms. 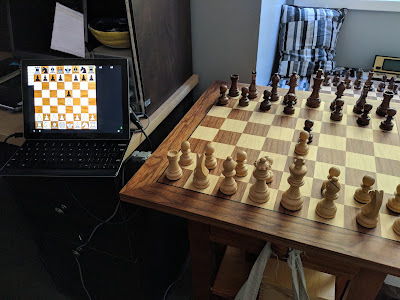 Below is a game between Shredder Java running on a Motorola ROKR Z6 (550 MHz ARM) with white and Chess for Android on the tablet with black. White will mate soon. Embarrassing how quickly king safety was lost.